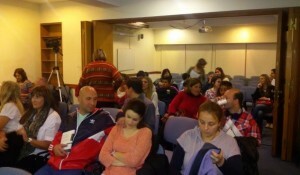 AAPIDP (Asociación Ayuda al Paciente con Inmunodeficiencia Primaria from Argentina) held a patient meeting at the Argentinian Pediatrician Society on 28th of August during the afternoon. This meeting was a great opportunity for our patients and families to interact with the physicians. In the meeting which was entitled “Dialogue with specialists” participants were given the opportunity to ask questions to a team of PID medical experts and inquire about their concerns regarding their own or their relatives conditions. 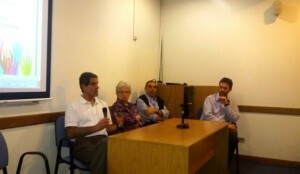 The medical panel was composed of the following doctors: Dr Teresa Español from Barcelona, Spain, Dr Matías Oleastro, Dr Miguel Galicchio and Dr Héctor Díaz from Argentina. The event welcomed 38 adult patients and parents. It was an enriching day with many participants showing interest in new developments, such as newborn screening, gene therapy and counseling for reproduction. The meeting was recorded and will soon be published on social media to give the possibility to other patients to learn more about their condition. During the coffee break AAPIDP distributed IPOPI educational materials to the audience.